Well the weekend has arrived! 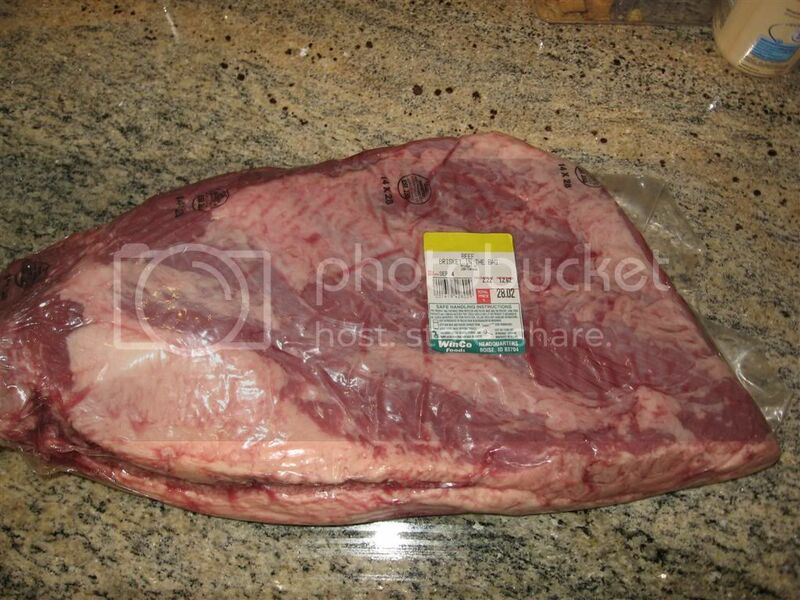 The Beef Brisket prices around my area haven’t been on sale for quite awhile but I picked a whole un-trimmed packer Beef Brisket 12+lbs @ $2.22lb, which was a lot less then several other large supermarkets. 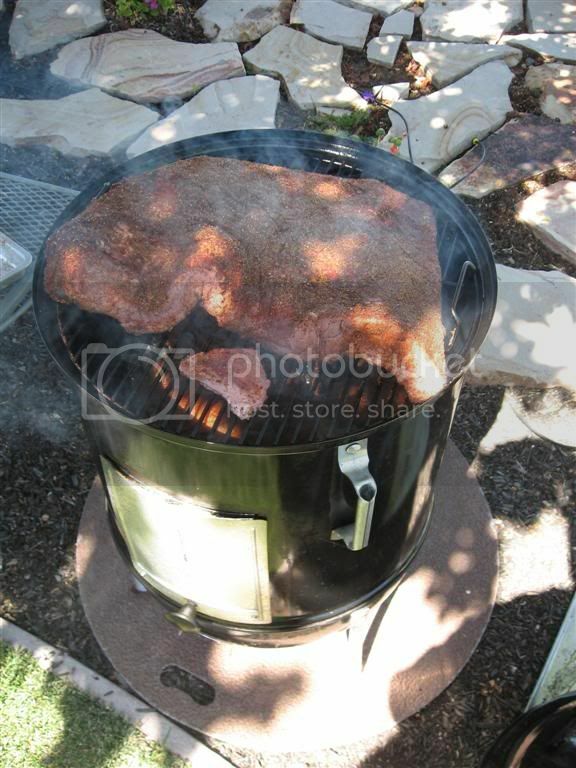 This entry was posted in BBQ and tagged BBQ, beef, chicken, food, smoker, Weber, WSM on August 30, 2009 by Jasonweb. Fired up the WSM(Weber Smokey Mountain) again this weekend and grabbed three Roaster Chickens from the store along with a roll of Jimmy Dean sage sausage and 15 fresh Jalapeños and a 1lb of bacon. I changed my normal process with the Roaster Chickens a little. I butterflied the Chicken as normal, removing the backbone and cutting to make two equal halves. This time I removed the majority of the skin, mostly the breast and thigh areas. I was attempting to see how the rub and marinade would cover the chicken in a more direct way to the meat instead of the skin. After skinning and washing the chicken I applied my rub. Two different ones, but they both contained the usual Salt Pepper, garlic, sugar. I went with a soy marinade with a little white vinegar and a little more sugar(white,turbinado. The second was a beer and fresh rosemary mix that would sit for a couple hours. This entry was posted in BBQ and tagged BBQ, chicken, food, smoker, Weber, WSM on June 7, 2009 by Jasonweb. Whole roaster chicken that was butterflied then halved. Marinated in the “roadside chicken” recipe that contains a lot of apple vinegar, salt pepper, garlic, citrus, Worcestershire, and brown sugar. I think the the Turkey breast was just rubbed with some homemade version. It came out juicy even though the bottom pics appear dry. This entry was posted in BBQ and tagged BBQ, chicken, food, smoker, turkey, WSM on April 1, 2008 by Jasonweb.